We are proud to present Judy Semroc with our Gentian Award. The Native Plant Society of Northeastern Ohio created the award in 2012 to honor those in the community who have made a significant contribution to the mission and goals of the Society. 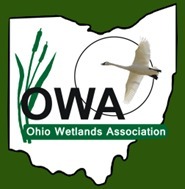 The Society's mission is the study, appreciation, and conservation of the native plants and plant communities of Ohio. Judy Semroc sets a high standard of accomplishment in furthering the mission adopted by our Society. Springing from the rigors of an educational background, as well as work experience, in geology and civil engineering, her career is a steady path of initiating and actualizing projects conserving natural resources of Northeast Ohio. The breadth of her work encompasses multiple aspects of environmental stewardship. From 1999 to 2004, she developed hands-on science curricula for students from pre-school through the 8th grade level. Also during this time, she created Operation Botanic Rescue, a volunteer group rescuing plants and animals from areas slated for development for donation to protected areas, and Quail Hollow Land Conservancy, a non-profit organization in Stark County that protects ecologically significant habitats from development and holds over 230 acres of land under easement protection. She also created the first Ohio Chapter (Chrysalis in Time) of the North American Butterfly Association. In 2005, Judy joined the staff at the Cleveland Museum of Natural History as Conservation Specialist. Her important work at this prestigious institution includes property site visits to search for and identify species important for land acquisition assessment. Her expertise is evident to all those fortunate to attend the hikes and classes she leads at the Museum. Beyond this, Judy is involved with the Regional Biodiversity Partnership and the 2015 Vision Program for Natural Areas. She continues to receive grants for study as diverse as recording butterfly and spotted turtle populations in a newly discovered fen in Stark County to natural history surveys of birds, coyotes, bears, and bobcats. She is co-author of the popular field guide Dragonflies and Damselflies of Northeast Ohio published in 2008. At the heart of Judy's work is that special desire to share a view of nature that sees plants, animals and insects in their unique communities. Her interest in photography is a natural adjunct to that. Judy has helped greatly to deepen our knowledge and appreciation of native plants as they exist in community. In April of 2010, Judy received the Portage County, Conservation Hero Award for Evnironmental Stewardship, and in 2013, she received the Outstanding Staff Achievement Award from the Cleveland Museum of Natural History. Now we are delighted to honor Judy with this Gentian Award and know we will continue to benefit from her work on behalf of native species communities. Kathy Hanratty, President of the Society, made this statement at the Annual Dinner on November 2, 2013, when she presented Judy Semroc with the Gentian Award.